Monster Hunter World (MHW) features 14 different weapon types, with the Light Bowgun being one of them. In this Guide we’ll take a look at exactly how to use this Weapon to its fullest, as well as show you some things you may not know about it. If you’re new to the game or you are a veteran of the franchise and just need a quick refresher, this Guide is for you. The Light Bowgun is the smallest of the three ranged weapons and its small nature allows hunters to rapidly reposition and Evade incoming attacks. On offense, the Light Bowgun boasts the highest fire rate of all the ranged weapons. It also specializes in support ammo, such as poison, paralysis and recovery, meaning it can reliably inflict a variety of Status Effects on monsters while still dealing damage. While the Heavy Bowgun may have more raw damage, the Light Bowgun has more versatility. The Light Bowgun does not have combos, but instead focuses on dealing it’s damage through bursts fired into the monster it is facing. And, just like most ranged weapons, is aim and is fire. However, the Light Bowgun can hipfire by simply pressing , which has less accuracy. Players can also press + to melee either while standing or jumping to deal a modest amount of damage. This isn’t particularly useful against monsters, but you can use it to set off traps around the environment. While moving with your weapon drawn you can press to sidestep and if you sidestep repeatedly you will do a slide that covers a fair bit of distance. If you are used to Evading with , this will take some getting used to. Pretty straight forward and identical to the Heavy Bowgun. Normal: A standard single shot. Comes in levels 1, 2 and 3. Pierce: A straight shot that pierces through monsters to hit them multiple times. Comes in levels 1, 2 and 3. Spread: A short ranged shotgun blast. Comes in levels 1, 2 and 3. Sticky: Attaches an explosive charge to the target and explodes. Comes in levels 1, 2 and 3. Cluster: Is lobbed at the target, and fragments into three explosive shells on impact. Comes in levels 1, 2 and 3. Poison: Inflicts poison on the target. Comes in levels 1 and 2. Paralysis: Inflicts Paralysis on the target. Comes in levels 1 and 2. Sleep: Inflicts sleep on the target. Comes in levels 1 and 2. Exhaust: Drains the target’s stamina. Comes in levels 1 and 2. Slicing: Attaches a small bomb which explodes and causes slicing damage. Wyvern: Very short range but high damage shot with a long firing animation. Demon: Temporarily increases the attack of a friendly target. Armor: Temporarily increases defense of a friendly target. Recover: Heals the target. Ideally used on fellow hunters. Comes in levels 1 and 2. Tranq: Used to capture monsters. Functions just like Tranq bombs. Each Light Bowgun has a special ammo type that is unique to that Bowgun and can be loaded by pressing . These ammo types having varying effects such as placing bombs on the ground, so you may need to try a few to find the one you like. This ammo will regenerate over time when not using, and in some cases you must let it regenerate all the way before firing it again, but not all. You can see the special attack of this Light Bowgun is to place mine-like bombs into the ground. Recoil Suppressor: Lowers the recoil when firing. Effectiveness varies with what ammo type is being used. Reload Assist: Speeds reload times. Effectivenes varies with what ammo type is being used. Deviation Suppressor: Lowers deviation. Can only be used if the bowgun has deviation. Close Range Up: Increases damage at close range. Long Range Up: Increases damage at long range. Light Bowguns have an optimal range when firing, and firing from that range is key to maximum efficiency with this weapon. You will know you are within proper range when your cross hairs glow orange when aiming at the monster with . Different Ammo types will also affect this range, so be sure to learn what these ranges are so you can position yourself accordingly. Your cross hairs will look orange like this when in proper range. The difference between the Light Bowgun and the Heavy Bowgun are that the Light Bowgun moves faster and reloads nearly instantly, but has more recoil and has a smaller ammo capacity. If you play the Light Bowgun and it’s not quite right for you, try the Heavy version and see if you like it better. Keep an eye on your special ammo Gauge on the lower right-hand side of the screen. This will replenish over time, so don’t let it sit on full very long when you could be using the powerful attack that it does. 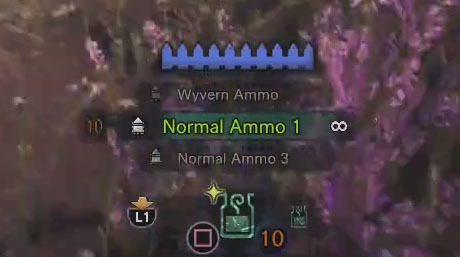 Learn your Bowgun’s special ammo and anticipate where you need to be when it’s ready to fire. When your Gauge looks like this then your Special Ammo is completely replenished, so be sure to use it! Becoming familiar with the monster you are fighting can go a long way to improve your effectiveness in combat. Monsters have specific weaknesses and weak points and aiming for those is crucial, as is using the best ammo for the job. Learn what monsters are weak to and use that knowledge against them. Lastly, one of the downsides of this weapon is that you must supply your own ammo, which means that you will have to farm for crafting materials regularly to keep yourself topped up. On the plus side you can set the game to auto-craft the ammo types you want, so that when you gather the corresponding materials it makes them automatically. 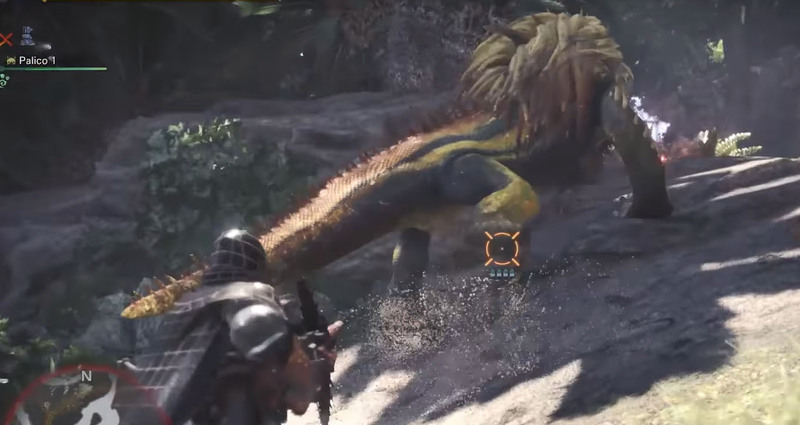 Be sure to check out our other Weapon and Monster Guides for all your needs and if you have specific questions be sure to check out the Monster Hunter World Wiki. Good Luck Hunters! May the furs be with you!